L.J. Sport is the supplier for the ABF KNVB Uniforms. They are located on the Langstraat in Wassenaar at the below address. 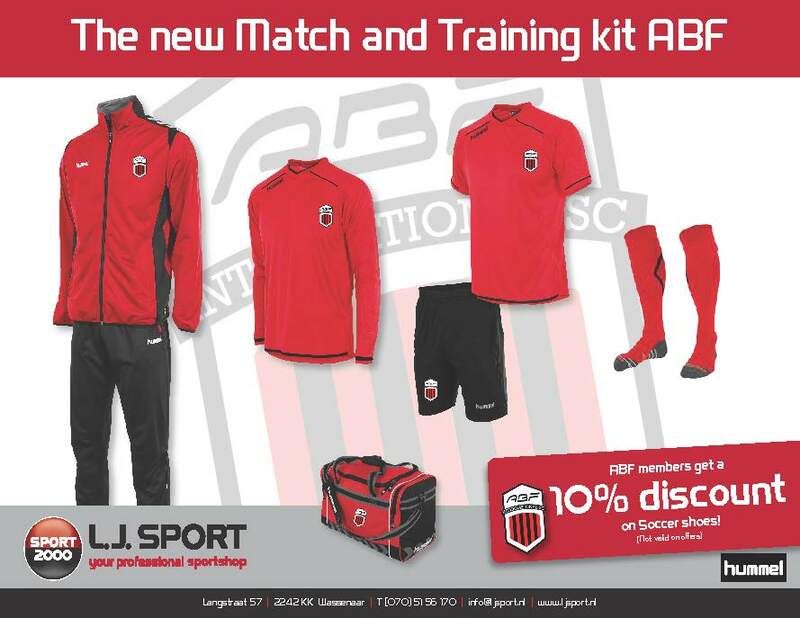 Visit their shop and just inquire within about purchasing ABF KNVB gear. SPORT 2000 L.J. SPORT is a sports shop located in Sassenheim, Wassenaar and Lisse. As a sports enthusiast, we can provide a good service and we have a wide range of sports equipment. In our stores you will find a wide selection of shoes, clothes and accessories for various sports such as tennis, football, hockey, running, fitness and many saddle sports. We support many sports associations in the region.